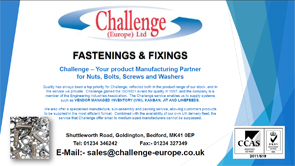 Quality has always been a top priority for Challenge, reflected both in the product range of our stock, and in the service we provide. 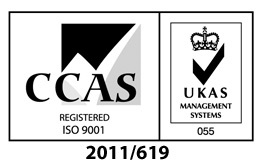 Challenge gained the ISO9001 award for quality in 1997, and the company is a member of the Engineering Industries Association. The Challenge service enables us to supply systems such as Vendor Managed Inventory (VMI), Kanban, JIT, and Linefeed. We also offer a specialised manufacture, sub-assembly and packing service, allowing customers products to be supplied in the most efficient format. Combined with the availability of our own UK delivery fleet, the service that Challenge offer small to medium sized manufacturers cannot be surpassed. Reducing administration costs – we minimise costs by applying experience and appropriate technology, e.g. VMI. Spreading cash flow – we deploy pay-as-you-use charging so reducing customer inventory costs by invoicing on usage. Environmental issues – we utilise re-usable bins and packaging to minimise the environmental impacts of manufacturing.